As the two most influential and powerful actors in Eurasia the nature of the Turkish-Russian relationship affects the situation in the Black Sea, South Caucasus, Central Asia and Middle East and steers the foreign policy formulations of both regional states and global powers. 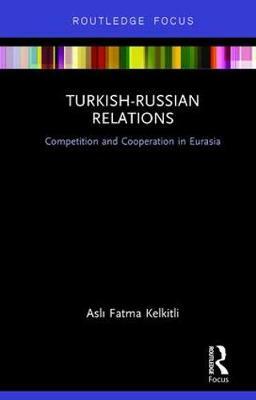 Examining post-Cold War relations between Eurasia's most prominent actors, this book takes into account regional dynamics and global power struggles and identifies three important stages in Turkish-Russian relations during the period. Using complex interdependency theory the author offers valuable insights into the initial confrontational period and its transition to an atmosphere of compromise, cooperation and the evolution of multi-dimensional partnership. Leadership theory then explains the most recent deterioration in rapport as crises in Syria and Ukraine have placed severe strain on the previously warm bilateral relations.